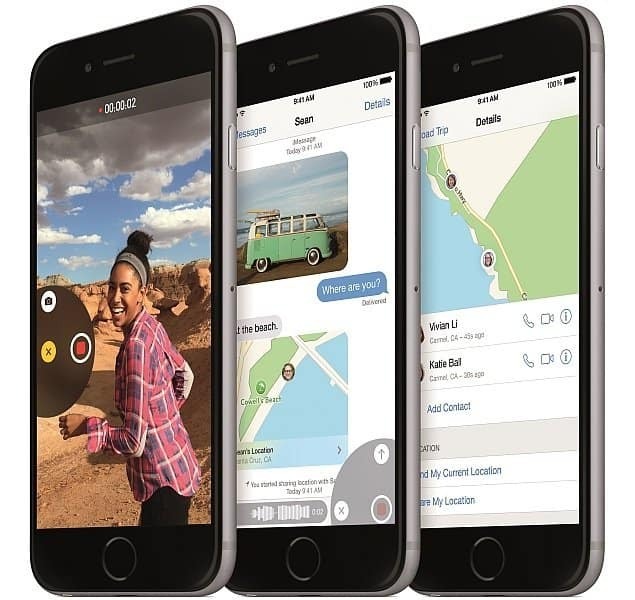 iOS 8 is finally released in the markets by Apple, but the new operating system iOS8, is causing plenty of issues for old devices. Here are the most serious issues and bugs of iOS 8, that users and iOS developers has reported. iPhone 4S and iPad 2 owners have reported glitches since updating their devices. The older phones and tablets don’t seem to have the capacity to run the new operating system. Common issues with old devices include the Mail app which keeps on crashing, random reboots, Wi-Fi issues and more. iOS 8 is also causing problems with opening and loading apps. DropBox and HealthKit are among apps that are not working, while other apps are taking 50% longer to load. Users who have upgraded their devices had to delete apps in order to download iOS 8 in order to meet free-space requirements. This is not a problem when devices are upgraded via iTunes. How to install iOS 8 through itunes is posted before. Click here to read. The operating system is also causing issues with Apple’s Voiceover function. In many applications, the screen does not automatically scroll to follow the movement of Voice Over focus as you swipe through the page. This causes problems when focus lands on an actionable element which is not visually displayed on screen, as you cannot interact with it. For example, the screen does not scroll when flicking through an email. So, if there is an attachment at the bottom of the message, double-tapping on it may not open it as you would expect. One exception is links, where the screen will scroll to their location when focus moves to them. However, moving focus beyond the link will cause the screen to scroll back to its previous position. This behavior has been encountered in a large number of apps. When this results in Voice Over focus landing on actionable elements which are visually not being displayed on the screen, it is likely to be confusing and extremely frustrating to users who will not know why a gesture isn’t working. The only workaround is to use the 3-finger swipe up/down to bring the desired element on to the screen, locate it by touch, and then double-tap. 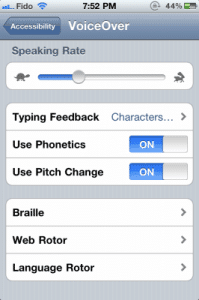 In Braille options (Settings > General > Accessibility > Voiceover > Braille), changing the setting for Status Cell from “off” to either left or right will cause Voiceover to stop working completely. The only way to get Voice Over back is to set the cell back to “off”, and to do that one will need sighted help since Voice Over is completely inoperative. Toggling Voice Over with the shortcut, telling Siri to turn Voiceover off and back on, restarting the device – nothing works except changing the status cell option. Additionally, it now appears as though this bug will also present itself when upgrading from an earlier version of iOS if the status cell is set to either Left or Right-necessitating that the Voice Over user turn the Status Cell to “off” before the upgrade. When using the Share option to send a message from outside of the stock Messages app (such as sharing a recording from Voice Memos), double-tapping on the “Send” button does nothing. To successfully send the message, one must disable Voice Over and attempt to find the “Send” button with no spoken feedback. QuickNav appears not to work with a Braille display. Enabling it is supposed to be done with space and Q, but Voiceover always reports that it is on, thus suggesting it’s never on. Pressing H for heading, F for text field, etc, yield no results. This problem has been seen on a Braille Sense Plus. Using the Handwriting mode crashes Voice Over. Voice Over will restart itself in a few seconds, but this does make handwriting unusable. NOTE: If you are a iOS 8 user, Please update the bugs and Issues reported here, while using iOS 8 in your Apple device. Next articleApple iPhone 6 and iPhone 6 plus doesn’t have Sapphire glass: Why?